Improve paper cup recycling in your facility with the multi-purpose Nexus® 100 Duo Recycling Station. It combines the popular Nexus 100 Duo multi stream recycling bin with dedicated cup recycling features, to offer an all in one solution for waste collection and recycling within one space-saving unit. The Nexus 100 Duo Recycling Station is a multi-stream solution which includes the Nexus Cup Stacker as standard to hold up to 50 used cups. 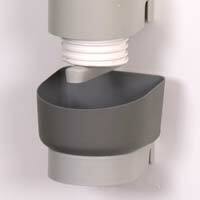 Alternatively select the stainless steel Centrum™ Cup Stacker which can collect up to 70 cups. The station also includes a side pod liquid reservoir with cup graphic and the duo plastic bottles and paper graphics as standard. Alternative waste stream graphics and additional signage is also available with the option to add your company branding and messaging through our Personalisation Service. The correct stacking of empty, used cups is considered one of the most effective ways to collect cups for recycling. It reduces the cross contamination which leads to cups being sent to landfill and can therefore reduce waste collection costs too. With the Nexus Cup Stacker or alternative Centrum Cup Stacker and 8 litre side pod reservoir, you can improve the efficiency and results of cup recycling in your facility through the correct collection and stacking of disposable cups. 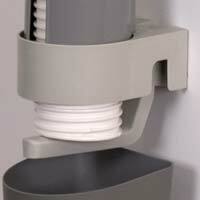 The compact and cost effective Nexus Cup Stacker is ideal where a smaller solution is required. It is lightweight with a quick release mechanism for easy emptying and features a removable 100% dishwasher safe drip tray for easy cleaning. 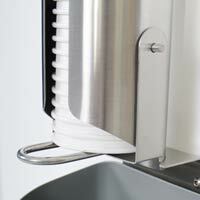 The Centrum Cup Stacker is a lightweight, stainless steel unit with a quick release mechanism for an easy emptying. 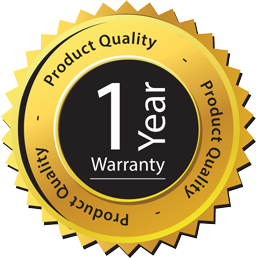 It also features a 100% dishwasher safe drip tray to maintain the clean and efficient process. 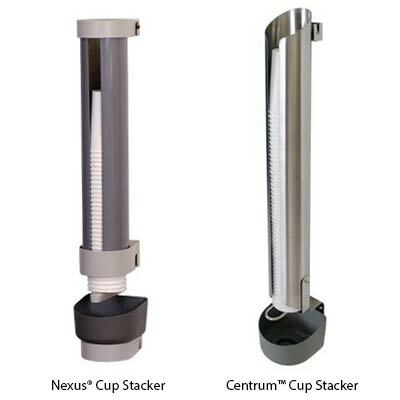 For back of house environments, the Centrum Cup Stacker and Nexus Cup Stacker are also available to purchase as a separate wall mounted unit. Boost awareness of your recycling programme and encourage staff and customers to recycle correctly with the optional Foamex Sign Kit which fixes to the rear of the unit and can be supplied with standard optional graphics or non-standard graphics of your choice through the Personalisation Service. The Nexus 100 Duo Recycling Station maintains all Nexus 100 Duo features such as sack retention, 100 litre capacity unit and dual 'multi stream' apertures with separate sack collection and an easy access, removable door. Nexus 100 Duo Recycling Bin features double aperture and sack retention system which holds to separate sacks to prevent cross contamination between waste streams. 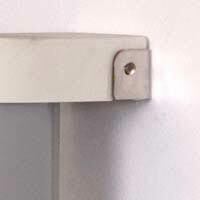 A pivoting lid and lid stay, removable door, heavy duty wheels on door and built in drip tray. 8 litre side pod liquid reservoir with cup graphic. for easy carrying and emptying. 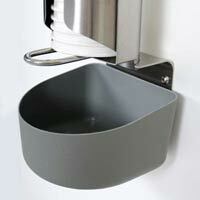 Also includes 1 litre, easy clean, drip tray. Quantity based on 16oz cups. Stacker takes small, medium and large cups. Duo graphics and aperture for plastic bottles and paper supplied as standard. 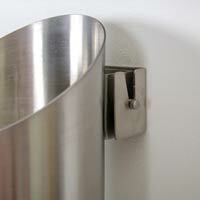 Manufactured from Duratec and Stainless Steel, making the product easy to clean and maintain. Rear foamex sign kit with a choice of graphics through our personalisation service. Flap Lid Kit available for the Side Pod Liquid Reservoir. Cup stackers can be positioned on the left with side pod liquid reservoir fixed on the right. Discarded, incorrectly disposed and unrecycled plastic has become problematic and a threat to entire ecosystems. Our on-the-go lifestyles and passionate love for caffeine makes using disposable cups a natural behaviour for us.